Home / Entertainment / News celebrities / The First Poster For Game Of Thrones Season 6 Confirms Jon Snow Lives...But How Did He Survive? The fans of the immensely popular HBO show Game of Thrones finally caught up with the book readers at the end of season 5, which saw Jon Snow betrayed by his brothers of the Night Watch and stabbed to death. OR WAS HE? 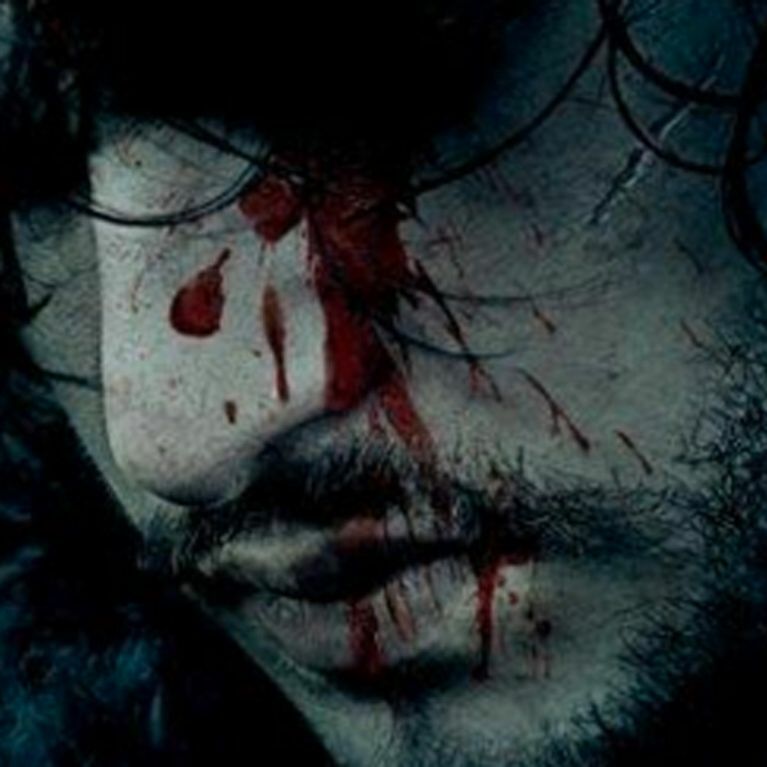 The first poster for season 6 has been released showing Jon Snow bloodied but seemingly alive. So how did he survive the attack?! The best thing about finishing Game of Thrones season 5 was that there was no more information about our favourite character. Whether you're a book reader or just watched the TV show, everyone is now on the same page which means not quite knowing the fate of Jon Snow, who finished up season 5 looking very, very dead. Melisandre is a Red Priestess who worships the Lord of Light and as we witnessed in season two with the Brotherhood Without Banners, Red Priests and Priestesses have the power to resurrect people. She returns to the Wall after Stannis Baratheon's army is slaughtered, so she is on hand to work her voodoo and get Jon back on his feet. There are plenty of other hints in the books to suggest that this could happen, and the TV show has put in enough foreshadowing that this theory would make total sense. If his younger brother Bran has the ability to warg into his wolf, Summer, why shouldn't Jon be able to warg into Ghost? Its clear that the Stark children have a particular affinity with their wolves (except Sansa whose wolf died in season one, gutted), and Jon would be no different. So just before he dies, he wargs into Ghost and lives through his wolf. It would be tricky to explain how he gets back to his body, but we're open minded! The least preferable option is that Jon turns into a White Walker and joins the Army of the Undead, but we seriously doubt this is going to be an option. For starters, he was stabbed to death, not turned by a White Walker. Also, we don't think the white haired blue eyed thing would work in his favour. A BIG rumour about Jon Snow's parentage is that he is actually he son of Rhaegar Targaryen (Daenerys' brother) and Lyanna Stark, making him the Heir to the Iron Throne. This also means that he has the 'blood of a dragon' like Daenerys, who can walk through flames without being burned. We know this idea is a little trippy, but maybe when the Night's Watch burns his body Jon will be reborn much like the Mad King thought he would be reborn when he planned to burn King's Landing to the ground. To be honest, we don't mind how he's resurrected. Just so long as he kills Olly! How do you think he'll survive? Tweet us @sofeminineUK! This piece was written by Emmy Griffiths. Geek out about Game of Thrones with her @emmyfg! Has R+L=J Sort Of Just Been Confirmed On Game Of Thrones?! Did The Game Of Thrones Season Six Trailer Confirm R+L=J?